Under Salix, Quercus nearby, at 4100 m. Pileus 6-9 cm in diam., pale yellow to cream colored, yellowish along margin, becoming paler, with reflexed, at first yellowish, then paler squamules, margin without striations, appendiculate, especially when young. 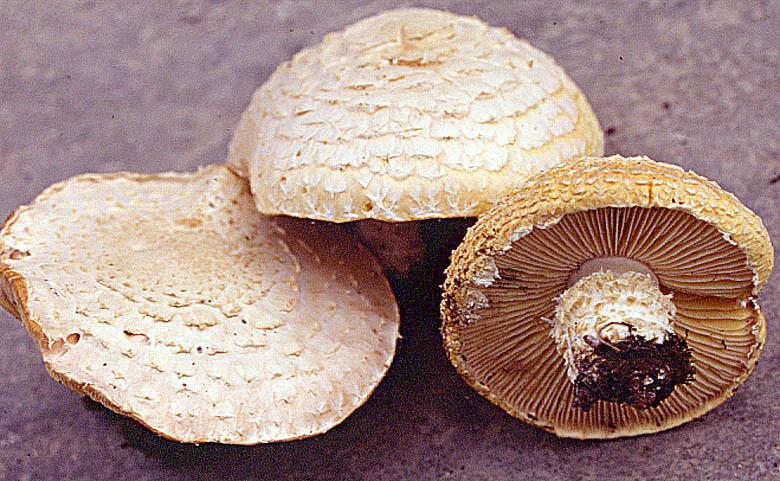 Lamellae whitish to cream colored at first, then yellowish to yellow. Stipe 2-3 x 0.5-1.2 cm, somewhat attenuate upwards, apical region white to whitish, glabrous, lower part covered with yellowish to whitish reflexed squamules. Annulus whitish to yellowish. With a line drawing and slides.